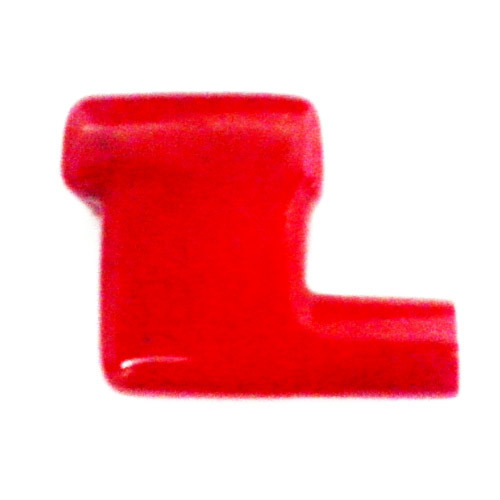 Gained prominence in the industry as one of the leading manufacturers, suppliers and exporters, we are engrossed in offering a wide range of PVC Battery Terminal Caps. These caps are manufactured at our sound infrastructure premises with the aid of modern machinery and technology. To meet the variegated demands of customers, we are offering these products in different customized forms. We, "Pioneer Plast" is an ISO 9001: 2008 Certified Company, came into existence in the year 2007, are considered one of the leading manufacturers, suppliers and exporters of an impeccable range of PVC Bellows & Moulded Components. The offered range, comprising of PVC Bellows, PVC Dip Moulded Components and Vinyl Coating Components. Products offered by us are considered one of the finest that is available in the market. The offered components are widely praised for their flexibility, resistance to heat and durability. Further, our ethical working habits have always helped us gain highly reputed clients from different parts of the nation. The components, made available in the market by us, are appreciated for their diverse domestic and industrial uses. Precisely designed by our trained professionals, the offered products have a high demand in the market. In addition, our highly modernized infrastructure and skilled employees have helped us achieve immense success. We export our products All Over The World.